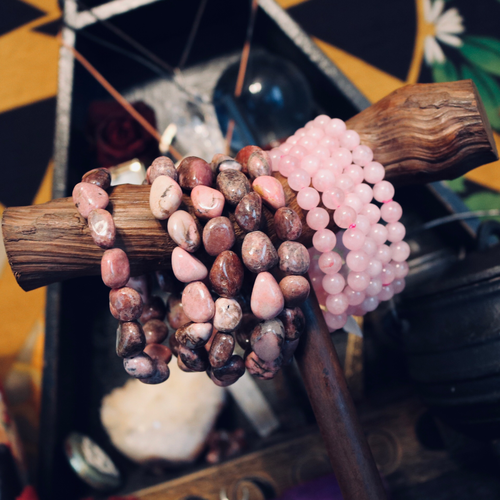 A high-vibration stone and well known heart chakra healer, Rose quartz is loved my many as a heart opening stone, making us more receptive to beauty of all kinds. Rose quartz teaches us how to love ourselves, encourages self forgiveness, and invokes feelings of self trust & self worth. This stone draws of negative energy, replacing them with loving vibes and aiding in the acceptance of necessary change.